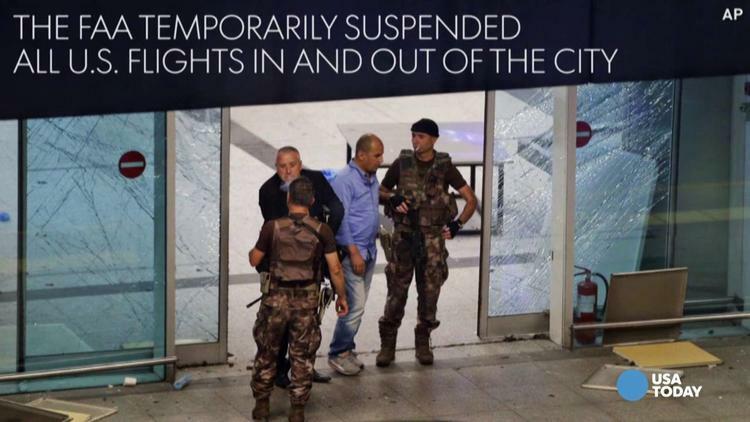 The attack at Ataturk Airport is suspected to be the work of [Daesh or] the Islamic State [IS] group. Three suspected IS suicide bombers who killed 44 people in a gun and bomb attack at Istanbul’s main airport this week were Russian, Uzbek and Kyrgyz nationals, a Turkish government official said on Thursday. Interior Minister Efkan Ala told parliament that evidence continued to point to IS responsibility and that 19 of the dead were foreigners. Ala said the identity and nationality of one of the bombers had been determined but did not comment further. Turkey’s Hurriyet newspaper named him as Osman Vadinov and said he had come from Raqqa, the heart of IS-controlled territory in Syria. The Russian Interior Ministry said it was checking information about Vadinov.